About – The Young Artists Philharmonic is happy to announce the launch of a Chamber Music Initiative in partnership with Steinway Piano Gallery & the Greenwich Arts Council. The Program – Chamber Music provides students with unique opportunities for musical expression and performance. It develops ensemble skills, and places greater emphasis on the individual’s musical instincts and preparation. Students will meet for 15 rehearsal sessions with a YAP coach, and perform a final concert at the Greenwich Library. Who Can Join? – Chamber Music is for students that have had preferably three or more years of private instrumental lessons, and show a level of comfort with music fundamentals such as sight reading and intonation. Participants will be grouped according to their skill level, from beginner to our advanced Honors Groups. Chamber coachings take place on either Tuesdays and Thursdays depending on the preference of individual ensembles. Scheduling adjustments can made with advance planning among individual groups if needed. Pictured: Tatiana Mori and Greg Robbins, executive directors of the Greenwich Arts Council and YAP respectively. Shown in the rehearsal location of the Chamber Music Program on Greenwich Ave.
Yuan Ma is currently a member of the New Haven Symphony Orchestra and a guest musician of the Charleston Symphony Orchestra. 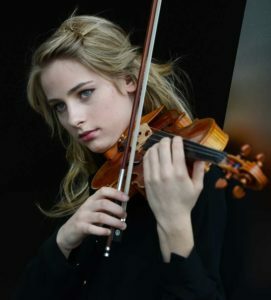 She began her career by studying violin and music theory at the Shanghai Conservatory of Music and toured Germany at the age of sixteen with solo and chamber music performances in Cologne and Stuttgart. Recognized for her talent at the age of seventeen, Ms. Ma was given full scholarship to study her BA and BM at the Bard Conservatory of Music. She has since go on to perform solo and chamber music at many well-known music festivals including the Music Academy of the West, Kneisel Hall Chamber Music Festival, Bowdoin International Music Festival and Alan Gilbert’s Music Masters Course Japan. As a chamber musician, Yuan has also performed at many renowned performance centers including Carnegie Hall in New York City, the Library of Congress in Washington D.C., the Sosnoff Hall of Fisher Center in New York, Kioi Hall in Tokyo and Yokohama Minato Mirai Hall in Yokohama. In addition to her BA and BM degrees she earned at the Bard Conservatory of Music where she studied with Ida Kavafian and Arnold Steinhardt, she was also awarded full scholarships to study her Masters degree at the Yale school of Music with Ani Kavafian. Most recently Ms. Ma earned her Artist Diploma with Weigang Li at the Cali School of Music, where she was the first violin of the Cali String Quartet and the concertmaster of the MSU symphony orchestra. Joseph has received eleven awards in the past four years for his work including a spot in the NYTimes and Architectural Digest Magazine. When not painting, Joseph designs and builds furniture in his studio in Upstate New York, professionally plays the violin and viola with various symphonies around NYC, is a founding member of ‘Scape Trio, and holds faculty positions in Music at Rye Country Day School, Rye, NY and Concordia College, Bronxville, NY. 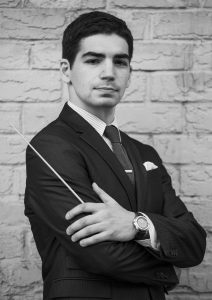 Most recently, Joseph founded ‘SCAPE, uniquely paired concert series where music and art come together to inspire communities and create artistic awareness through the combination of living visual artists and live chamber music. Chamber Groups have the option to meet on Tuesdays OR Thursdays. Rehearsals are one hour long, and take place from 5:00 – 6:00, or 6:00 – 7:00 based on group preference. In order to receive more information about the program or schedule an audition, please fill out the following form, and a YAP representative will reach out. Alternatively, you can email greg@youngartistsphil.org with any specific questions. Tell us a little bit about your chamber music experience (if any). Prior chamber experience not required.